value of enjoying and hence never refuse frequent stops throughout your picnic. 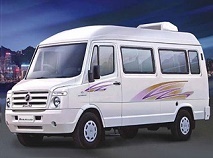 We also expertise in providing buses for industrial visits, corporate tours . Our updated staff suggests you with different halting spots that might be for food or accommodation. Our staff is co operating and understands the value of enjoying and hence never refuse frequent stops throughout your picnic. Our updated staff suggests you with different halting We also expertise in providing buses for industrial visits, corporate tours . Our updated staff suggests you with different halting spots that might be for food or accommodation. Our staff is co operating and understands the value of enjoying and hence never refuse frequent stops throughout your picnic. Our staff is co operating and understands the value of Our staff is co operating and understands the value of Our staff is co operating and understands the value of We also expertise in providing buses for industrial visits, corporate tours . Our updated staff suggests you with different halting spots that might be for food or accommodation. Our staff is co operating and understands the value of enjoying and hence never refuse frequent stops throughout your picnic. operating and understands the value of enjoying and hence never operating and understands the value of enjoying and hence never operating and understands the value of enjoying and hence never operating and understands the value of enjoying and hence neverWe also expertise in providing buses for industrial visits, corporate tours . Our updated staff suggests you with different halting spots that might be for food or accommodation. Our staff is co operating and understands the value of enjoying and hence never refuse frequent stops throughout your picnic. We also expertise in providing buses for industrial visits, corporate tours . Our updated staff suggests you with different halting spots that might be for food or accommodation. Our staff is co operating and understands the value of enjoying and hence never refuse frequent stops throughout your picnic.